When temperatures drop down into the single digits, you need to make sure your home’s pipes are properly winterized. If your pipes are not winterized, you are in for some big problems! When pipes crack and break from ice exposure, water damage to your home can be very costly. For this reason alone, it’s important to take this process seriously. Step 1: Turn off the main water valve. Whenever you work with pipes (even in a minimal fashion), it’s best to shut off the water just to be safe. Step 2: Make sure you have the right pipe insulation materials. 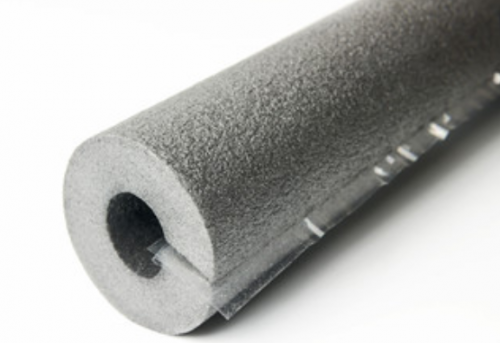 We recommend using foam pipe insulation. In most cases, R-4 is the value that you will find in home improvement stores (this is good for pipes that are not on exterior walls of your home). The higher the number next to the R, the better effectiveness of the insulation. If you are insulating pipes along the exterior of your home, you want to use R-10. Step 3: Place the foam pipe insulation on all pipes that require insulation. Be sure to tape the slips shut to improve the effectiveness of the insulation (you can use duct tape for this). Step 4: Turn on the main water valve. As you can see from the steps above, winterizing your pipes is a fairly simple process. If you are still having problems with freezing pipes after you have gone through this process of winterizing your pipes, you may have a bigger problem at hand. In this case, you need to bring out a certified plumbing expert to assess the situation. It’s possible that cold air is leaking into your home through cracks or other large openings in your home. Basements and crawl spaces often have these issues, especially in older homes.